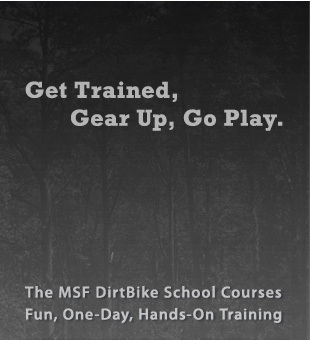 The Closed Range Exercise provides hands-on riding training with an emphasis on safety and skill development. 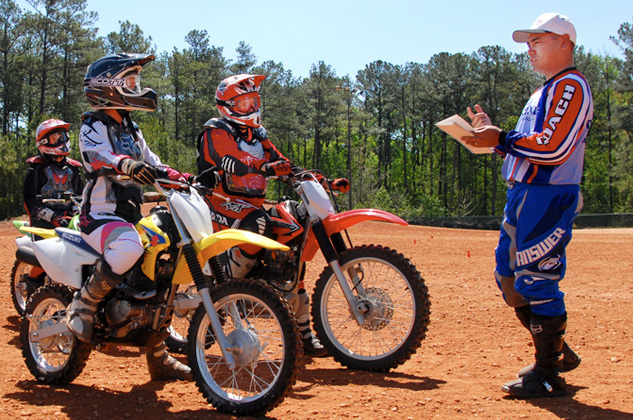 For more advanced learning, the Introduction to Trail Riding is the next level DirtBike School course designed to familiarize riders with riding off-road on actual trails. To get started, click here. Except for dual-purpose models, never ride on paved surfaces except to cross when done safely and permitted by law - another vehicle could hit you. Dirt bikes are designed to be operated off-highway.